This week's chart comes from Fairbanks, Alaska!!! The name "Fairbanks" is well known, but has only about 30,000 people, sitting in the middle regions of Alaska. Despite the location, by looking at the survey, you might think the station was anywhere in the lower 48. They were even "thinking" of the New Colony 6 (#22!) way up there! 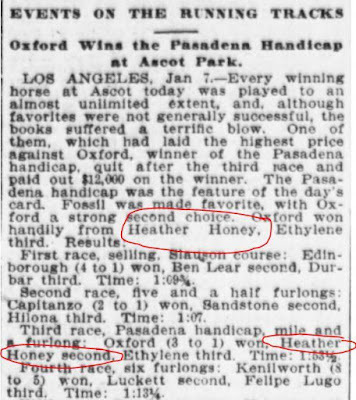 They were NOT thinking much of rare tracks, however. How many record services and companies flew 45s up there, I wonder? Looks like R&B was quite popular in Alaska in '68. One obscure track charting here is by Grammy winning Martha Reeves and the Vandellas' "I Promise to Wait my Love," which has the classic Motown Funk Brothers backing backing track that the 4 Tops could have easily sang the same song over. 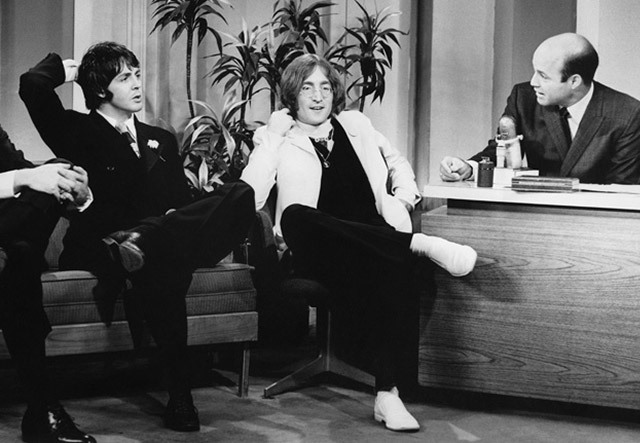 Also on this date ... John Lennon and Paul McCartney appear together on The Tonight Show to promote Apple – Johnny Carson isn’t there that night so John and Paul hang out with substitute host Joe Garigiola. (At one point Paul asks "Where's Johnny?" Many years later McCartney appeared on The Tonight Show with Johnny Carson and recounted the incident, explaining "Came to see Johnny ... got Joe!" 5/15/68 - George Harrison’s movie and soundtrack to "Wonderwall " premiers at Cannes 50th ... it is officially the first Beatles solo album! 5/18/68 – Tiny Tim’s “novelty” rendition of “Tip-Toe Thru The Tulips” is released by Frank Sinatra’s Reprise Records. The record made The National Top 20 and landed him key appearances on Rowan and Martin’s Laugh-In as well as The Tonight Show, Starring Johnny Carson, where he married Miss Vicki the following year. Also on this date, Archie Bell and the Drells reach the #1 Spot on The Billboard Hot 100 Pop Singles Chart, but Archie was nowhere to be found to enjoy his sudden, newfound success. That’s because he was resting in a West German Hospital after suffering a leg wound he received while serving in the Army in Viet Nam. (We ran a story several years ago about how all these fake “Archie Bell and the Drells” groups sprang up all over America, trying to cash in on the popularity of Archie’s hit record … and they were soon earning bookings all over the country … and there was not a damn thing Archie Bell could do about it because he was still overseas fighting for his country in The Viet Nam War!) You'll see that he also tops this week's Alaskan Chart! This time around ... The Fab Four! I wonder … when asked, “What do you want to be when you grow up?” did they answer, “The Beatles!”??? The string music begins, followed closely by Penn Gillette’s recorded introduction. And out comes … George Trullinger, as Ed Sullivan. I have been so tickled to see all the hype here in Forgotten Hits around The Fab Four. I have been following them since the beginning of the new century, bringing my kids, their friends, and my students to various locations to experience the music and the historical representations. Sure, I have tons of videos of The Beatles and their movies, but the magic of seeing them perform live (even when it was over the telly) was something breathtaking. This was as close as I could give to the children around me, who were soaking up 60’s music like it was water, and they were parched. So on with the SHOE! I have been up twisting with most of the audience and literally twisted my pen into pieces somehow. I sit down, pull out another pen, and continue on taking notes. And now a transition / costume change. Ardy Sarraf as Paul, accompanied by Ron McNeil as John, performs ‘Yesterday’ ... except it begins as “I’m … dreaming … of a white … Christmas.” Clever. The lyrics DO fit into the melody of ‘Yesterday.’ Beautiful portrayal. And WHAT IS NEXT?? After a brief media presentation of Beatle songs sung by people on the streets of England, comes THE PEPPER SUITS! Colorful and sparkly, the audience starts to clap as soon as Gavin Pring, portraying George appears. I remember when Gavin joined The Fab Four Ultimate Tribute. A rather loud audible “WHOA!” came out of my daughter’s and my mouths simultaneously. In our case it meant, “He’s nailed it. That’s George.” Ardy and Ron have always been as close to John and Paul as imitation can allow, and adding Gavin (who coincidentally rises out of Liverpool) strengthened the show. Joe Bologna appears as Ringo tonight. He is so happy and joyful in his portrayal, as well as accurate in his drumming. The cast can change, but these four are the major players. When Ron returns to perform ‘Imagine,’ he has a monologue that pays tribute to John Lennon. Ron, I can help explain the audience’s quiet reaction when you expected more applause for what you said about Lennon. We knew you were not Lennon, but at that moment, in that time frame, to us … you were. So for you to be talking about him when we were buying the fact that he was there in front of us … was confusing. We caught on and cheered you soundly as the other three returned and all are enmeshed in the ‘Let It Be’ era. Gavin performs ‘Something’ and OH MY … it IS SOMETHING. Such a beautiful song, I am thankful it is performed so well. And to end?? You say you want a ‘Revolution’? Holy Cow! All these songs performed live! I put my glow stick back in my bag and leave for dinner, echoing my friends’ voices, “THAT was fun!” Thank you for coming with me. Next stop is Art Garfunkel in Tarrytown, NY. 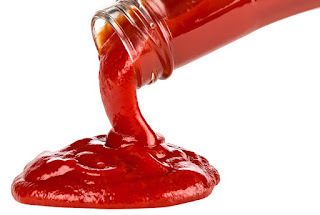 So today … in my best effort to "ketchup" a little bit … you'll find something old and something new … until we can get back on track again. So let's get to it, shall we??? 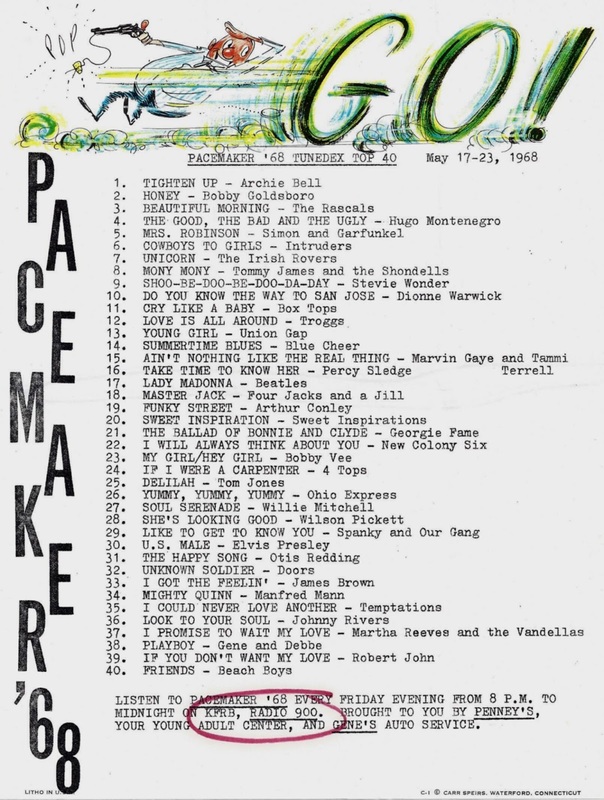 I wanted to thank you for mentioning “Rewound Radio” at the end of last year. I’ve had it on my computer and “Echo Dot” ever since. I love it because you never know what will play next. I just thought of you because “I Wanna Meet You “ just came on. Where else are you gonna hear the Cryan’ Shames right now today! PS — I also really enjoy the Gary Theroux “History of Rock and Roll” features that come on five times a day. When I read about the Breakfast Club and farm reports that were on WLS in its day, it brought back memories of my school days first thing in the morning when I got up. My mother was the first one up in the morning. She went immediately out into the kitchen, plugged in her coffee pot for that morning's brew and turned the radio on. Maybe not necessarily in that order. Now in our house we had an intercom system with every room wired into the main console located in the kitchen. We listened to WKY-AM 930. Now every morning on Monday - Friday between 6 am – 7 am they had a WKY FARM REPORT hosted by Russell Pierson. Now this was not a continuous show … it ran in about 5 - 6 minute segments with local morning man Danny Williams playing an occasional record as well as reading a daily verse out of the Bible. Danny's top 40 show would begin at 7:15 right after the 7 o'clock 15 minute news block. So every morning I would wake up to my intercom with the WKY FARM REPORT. And would you believe that a lot of times, I would wake up to the station playing a BULL OF THE WOODS chewing tobacco commercial. 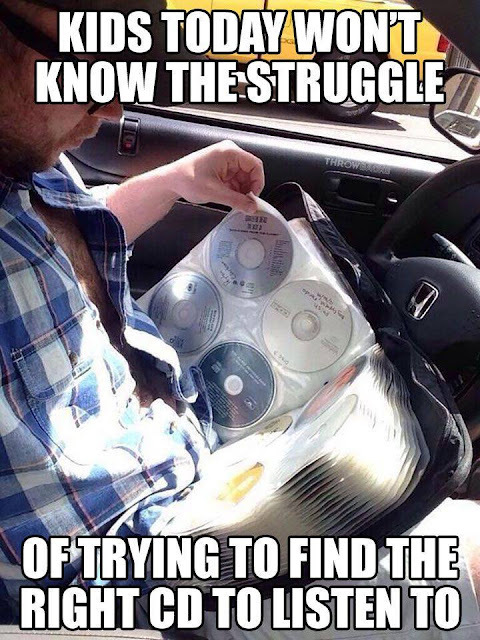 Don't even know if that product is still around. Also I found out later on that WKY would play only certain records or maybe not play certain records between 9 am – 3 pm because the teens were in school and not at home. I also remember her being hooked on Morton Downey, Jr. … so if we wanted to listed to Clark Weber on WLS … or anything on Super ‘CFL … we had to retreat to our bedrooms and listen on our own transistor radios! These are the things that drive me crazy!!! We make light of this but the truth is that on the very first day of its release, Post Malone’s album “Beerbongs And Bentleys” received an incredible, record-setting 47,930,039 Spotify streams … a statistic to be reckoned with for sure. It all started with “Stayin’ Alive,” which hit #1 on February 4th and then stayed there for four straight weeks, only to be knocked out of the top spot by “(Love Is) Thicker Than Water” by Bee Gee Brother Andy Gibb, who held on to the top spot for the next two weeks until The Bee Gees reclaimed the #1 Position with “Night Fever,” a track that would hold on to the #1 spot for eight straight weeks. On May 13th, it finally gave way to “If I Can’t Have You” by Yvonne Elliman, giving Barry Gibb FOUR consecutive #1 Hits as a songwriter. (1978 was an even more incredible year than that for Barry Gibb … he started the year at #1 with The Bee Gees’ hit “How Deep Is Your Love” … then topped the charts again later that year with “Shadow Dancing” (7 weeks) by Andy Gibb and “Grease” (2 weeks) by Frankie Valli, giving Gibb possession of the #1 position for an incredible 25 weeks that year … just shy of HALF THE YEAR!!! Passing by unanimous vote, a bill aiming to reform compensation for music licensing heads to the Senate. Washington, DC (April 27, 2018) — The U.S. House of Representatives has passed H.R. 5447, better known as the Music Modernization Act, a bill that reforms compensation for music licensing, by a unanimous vote; it now heads to the Senate. The bill was introduced by co-sponsors Robert Goodlatte (R-VA) and Jerrold Nadler (D-NY). Goodlatte noted that “music is no longer written on piano rolls, and our laws shouldn’t be based on that technology either.” The Recording Academy, the RIAA, ASCAP, BMI, the American Association of Independent Music, the American Federation of Musicians and other industry groups threw their support behind the bill. Sirius XM and Music Choice are reportedly the only organizations offering any opposition to the MMA. The bill offers benefits not just for artists and rights holders but also producers, engineers and mixers, by “formalizing SoundExchange's long-time practice of honoring letters of direction from artists who opt to share royalties with other creative participants,” according to Huppe’s statement. The MMA also closes a loophole that denied federal copyright protection and royalty payments from digital services for the use of pre-1972 recordings. It additionally establishes a market-based standard rate for writers and artists—a willing buyer/willing seller model long advocated within the industry—and the creation of an organization, similar to SoundExchange, to track credits and distribute royalties. The MMA now advances to the Senate, where three similar Senate bills are scheduled for Senate Judiciary Committee hearings in mid-May. Supporters of H.R. 5447 are reported as hoping that the Senate will simply take up and vote on the House bill rather than try to reconcile and combine all four pieces of proposed legislation. While doing genealogy research, I found this fun fact for FH'er Tommy Roe. 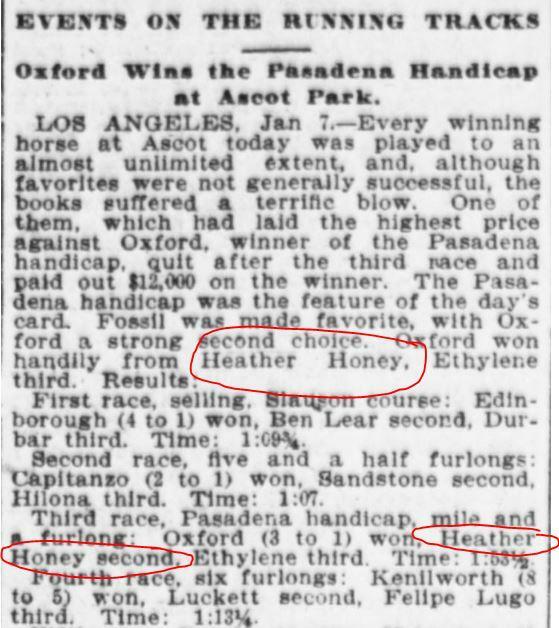 Knowing that Tommy did the song "California Chrome" for the Kentucky Derby winning race horse a few years back, it was funny to come across the second place finisher in the Pasadena handicap race on January 7, 1905! Check it out! Celebrity author Mark Bego attended The Kentucky Derby with two of his rock star chefs from his best-selling cookbook, "Eat Like a Rock Star," (Skyhorse), Joey Fatone and Supremes star Mary Wilson. Bego's cookbook hit the Top 10 on the best-seller list, and now he and Wilson are working on "Supreme Glamour," due to be published in Spring, 2019. While at Churchill Downs, "Chef" Bego and Mary bet on Justify, and won! Our FH Buddy Al Kooper has FINALLY resurrected his “New Music For Old People” project with both a new website and an up-coming radio show. More details to come as they become available. Are you running less and less letters from readers? Just seems like that. Still your content is great. Keep up the great work ... you are the best. "The Twist" and "Let's Twist Again" made each other popular in a way. Here in the US, "The Twist" was Billboard's #1 song of the 60's decade! It went to #1 in 1960 as a fall hit and then returned to the Hot 100 a year later in the winter, becoming an even bigger hit. This was somewhat caused by "Let’s Twist Again" becoming a hit that summer. To return the favor, "The Twist"’s rise to number one in the winter of ‘61 led to "Let's Twist Again" recharting for 11 weeks more, only months after reaching a peak of #8. Chubby's "The Twist" was now a big #1 at Christmas time, 1961, and his duet of "Jingle Bell Rock," paired with Bobby Rydell and his solo hit, “Twistin’ USA,” were also hits at Christmas time that year. Chubby was "in" in 1960, ‘61, ‘62! Not to be outdone, in the UK, "The Twist" charted FOUR times and "Let’s Twist Again" FIVE times! If you live in or around the Chicagoland Area, we’ve got some GREAT shows coming up that we’re sure you’ll want to know about. Paul Anka returns to The Arcada Theatre on October 22nd and 23rd with a brand new show saluting the music of Frank Sinatra (some of which Paul provided in the first place!) Incredibly this week marks the 20th Anniversary of Sinatra’s death at age 82. This is a class act doing a class show. Tickets available now thru The Arcada Theatre Online Box Office. Tony Orlando and Dawn reunite for a Christmas / Greatest Hits show at The Arcada Theatre on Tuesday, December 11th … now this should be a WHOLE lotta fun. On July 13, 2018, Eagle Rock Entertainment releases From The Vault: No Security - San Jose 1999, the latest in the acclaimed and collectable From The Vault series. Mining the previously unreleased treasures of the band’s archive, this is a simultaneous release on DVD, Blu-ray, DVD + 2CD, 3LP and digital. No Security captures a stand-out Stones show, with the band in searing form during the closing leg of their American tour in San Jose. Celebrating their return to the city that originally hosted them in 1965, the Stones played to 33,000 people over two nights – intimate by their current day standards. The band opened with “Jumpin Jack Flash”, hitting the stage with no security, no inflatables, no bells or whistles – just undeniable on-stage camaraderie - a tight-as-hell band delivering the ultimate rock show to their adoring fans. Treating the crowd to an up-close and personal experience on the B stage and leaving a frenzy in their wake, with Jagger pausing to take photographs of the crowd and high-fiving fans - it felt like a special night for both the Stones and the audience, “We’re here to have a good time” said Mick Jagger, and San Jose was excited to join the party. The set list spans from the mid-sixties hit singles to the Bridges to Babylon album, including a bluesy, dramatic version of “Midnight Rambler”, a dark and swaggering “Out of Control”, and the rarely performed live, “Some Girls” and “Saint of Me”. The show was an electrifying, anthem-packed, cross generational hot ticket, concluding yet another chapter from the band that wrote the book on rock ‘n’ roll. The No Security tour was a mostly arena-sized continuation of the Bridges To Babylon tour, which had grossed in excess of $274 million. 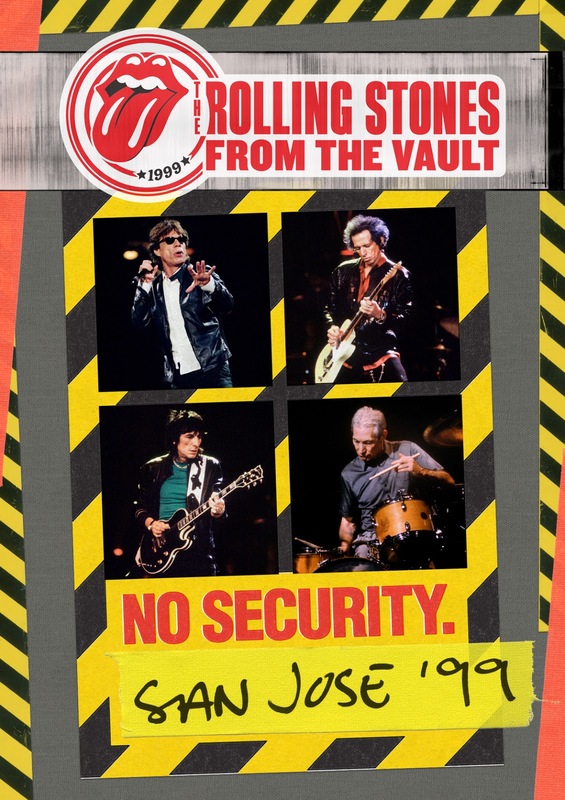 No Security saw the Stones adopt a more stripped back approach, concentrating on the music and playing smaller venues, using fewer special effects and providing an unforgettable fan experience. And, speaking of new releases, we’ve already pre-ordered this one! 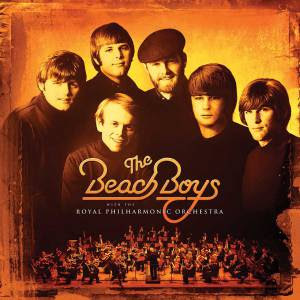 The Beach Boys are the next artist to receive the Royal Philharmonic Orchestra treatment when “The Warmth Of The Sun: The Beach Boys With The Royal Philharmonic Orchestra” is released on June 8th. I always knew the vocal arrangements I did back in the 1960s would lend themselves perfectly for a symphony and there is no better one in the world than the Royal Philharmonic. I am both proud and humbled by what they have created using our songs and I hope everyone falls in love with it like I have. This album is one of a kind. I think the fact that the Royal Philharmonic Orchestra has accompanied the Beach Boys with these great arrangements is just a phenomenal thing. 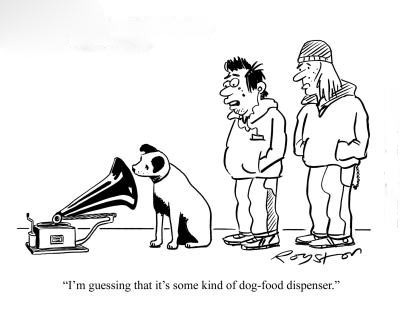 It’s a whole other dimension to our music. Don Reedman and Nick Patrick did a terrific job on this. I can’t imagine having more fun than taking some of these great songs and putting them into this perspective. They did a beautiful job of arranging the music around the original vocals, which I think is a terrific idea. It makes the music feel new all over again! When I listened to the album, I realized that the new arrangements performed by the orchestra didn’t add the wrong kind of weight. They just added the beautiful fairy dust of the orchestra to what we already ready recorded. It’s another interpretation of us without losing the groundwork of us. I really like it. Road trips were a nightmare, honestly.